The number of stray dogs on the streets of Santiago, Chile was a concern before the earthquake. Now, the problem is even more acute. 4A, or the Asociacion de Ayuda al Animal Abandonado (Association for the Help of Abandoned Animals, in English), is an organization attached to the University of Chile’s Veterinary School that educates the public on pet care, medically treats and sterilizes stray dogs, and arranges adoptions. I interviewed Felipe Esteban Canales Pangui, educational coordinator of 4A, to learn more about this complicated problem and find out how travelers and expats can help reduce the number of dogs on the streets of Santiago. How many dogs are in Santiago? 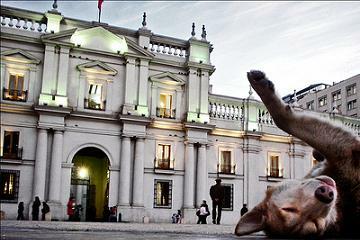 The canine population in Santigo… is estimated to be 1.25 million dogs. Approximately 260,000 are on the streets. Almost 70% of the dogs on the streets have owners, but the owners let them wander the streets during the day. The street dogs with owners contribute the most to the population problem because they are far healthier than those without owners and have a [better] capacity to reproduce. How does your organization help to reduce the number of dogs on the streets? 4A focuses on three areas: rehabilitation, education, and adoption. We provide shelter for dogs we find in our local community who are badly wounded, sick, or in a state of malnutrition. There are approximately 30 volunteers who take care of the 14 dogs at the shelter. The daily shift includes cleaning the kennels, giving food and water, and taking the dogs for walks. We have also started a trap-neuter-release (TNR) program. Our volunteers find stray dogs, bring them to our organization to be sterilized, and then return them to the streets. This helps reduce the tremendous population growth on the streets. Our second area is in education. Without a change in attitude and how owners take care of their dogs, our efforts will change very little. Recently, we went to schools to educate children on how to properly care for their pets. Thirdly, we focus on adoption. Approximately once a month, we bring the animals downtown to pass out educational material and try to find a permanent home for the dogs. How many dogs are adopted per year? In 2009, approximately 10 dogs were adopted from our association. It’s a low number this year. What can travelers in Santiago do to help the dogs on the street? Does it help to give food and water if they’re not planning on staying? Giving food and water alleviates immediate necessities. There are people who give food and water with regularity and this helps to lessen the dogs’ hunger, but the solution to the real problem of dogs on the streets is through education in responsible care for pets, adoption, and sterilization. If we succeed to do all three well, and together, we can resolve this issue. Meanwhile, to give or not give water or food doesn’t help much in the long run if the person is not going to take on the responsibility of the animal permanently. Are there other organizations like yours that help stray dogs? Yes, there are several: AEDA, Student Association for the Defense of Animals, which is connected to the University of Santiago; EPA, Students for Animal Protection, connected to the agricultural department at the University of Chile; and CEFU, Coalition for the Ethical Control of Urban Animals, an entity formed by professionals concerned with how the urban animal population is controlled. If travelers want to help, can they volunteer at your organization? Yes, they can help in the shelter cleaning, walking the dogs, helping with construction projects, painting, adoption shifts, and education activities. They can e-mail me (informaciones.4a@gmail.com) to schedule a time to volunteer or look on our website for more information. They can also choose to partner with us and donate money. The money we receive each month first goes for food, then to buy medicine and materials, and to create informative education brochures. Headed to Santiago and beyond? Check out all of our Chile articles on our Chile Focus Page. 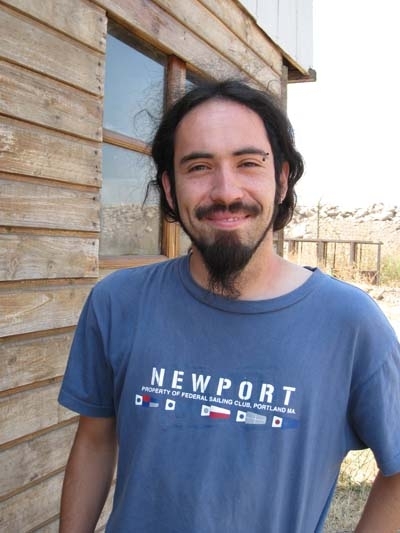 Gay man’s death to lead to anti-discrimination laws in Chile?